Giora Eiland, IDF Major General, and former Israeli National Security Advisor, was interviewed on Israel's Reshet Bet radio show, about the overnight rocket Hamas rocket barrages from the Gaza Strip. Eiland noted that Israel is working very hard to deescalate the situation, but if things do not calm down in the next few days, there will be no stopping an escalation -- and Israel would be forced to launch a major operation to stop the rocket fire. 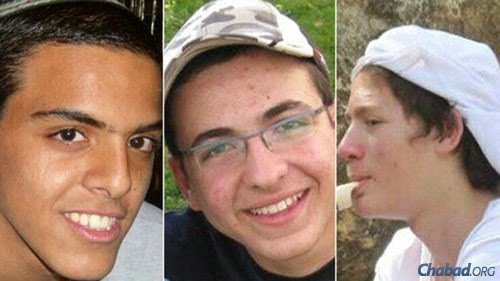 Here are 3 songs that have come out, dedicated to Naftali Fraenkel , Gilad Shaar and Eyal Yifrah. I posted them to Google Plus, and am posting them here in case you did not hear them yet. Jerusalem - NGO Monitor, a Jerusalem based research institute, has released evidence that anti-Jewish prejudice was prominent among the internal church advocates for boycott and divestment (BDS) efforts. The Israel-Palestine Mission Network (IPMN), a church affiliated activist group centrally responsible for lobbying the church to divest from companies that do business with Israel and publisher of the highly controversial booklet, Zionism Unsettled: A Congregational Study, also promoted antisemitism on its Facebook page. "The IPMN's Facebook page is in fact a hate site operating under the protective wings of the Presbyterian Church," said Yitzhak Santis, NGO Monitor's Chief Programs Officer. "None of the antisemitic postings were repudiated by the IPMN leadership or other members of this Facebook group. Several Presbyterian Church senior staff members are also members of this group, and they remained silent." When last I wrote, I expressed the fervent hope that by the time I posted again the kidnapped students would have been brought back alive. Days have gone by since then, but, most regretfully, we do not yet have them home. I can do no more here than report on what is transpiring, to the degree that we are privy to information. The mood of the nation is somber, watchful. But what shows clear is a spirit of unity - Israel is with the boys and their families, in prayer, in thought, and in written word. The Operation that is being conducted to find the boys and bring them back is called Operation Brothers Keeper, which tells us something as well. The condemnation by human rights groups and other organization of the kidnapping of Gilad Shaar, Naftali Frenkel and Eyal Yifrach may have been slow in coming, but the response by people has been strong and heartening. 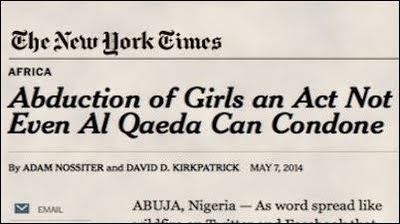 Why are some of the biggest Western mainstream media outlets—especially the New York Times (NYT)—often apologetic, not only for radical Islamists, but for al-Qaeda, an organization responsible for, among other atrocities, killing nearly 3000 Americans on September 11, 2001? This is not an uncommon refrain for me these days: This posting must be short because other considerations are pulling at me. I did want to follow through a bit more about the search for the three kidnapped students. But, unfortunately, the very same matter that has my attention today may prevent me from posting again until later in the week. Please God, let there be good news to post! 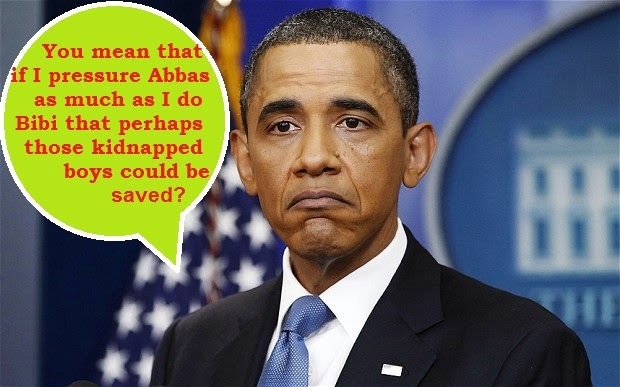 Photo: Will Obama Pressure Palestinian To Return 3 Kidnapped Boys? Will fact one of the kidnapped boys is an American citizen make a difference? Technorati Tag: Israel and Obama and Hamas. Collective US/Abbas Response to Another Unity-Government Rocket Fired on Israel: Oops! Palestinian terrorists fired another post-unity government rocket at Israeli civilians -- and the collective response of the US government and Abbas is the same: Oops! US State Department Spokesperson Jen Psaki said at a press briefing on Wednesday that the US condemns the rocket fire from Gaza, and expects the Palestinian Unity Government and PUG president to condemn those attacks. But Psaki admits that condemning, not stopping those attacks is the maximum they expect from PUG President Mahmoud Abbas. More and more it seems, the nations of the world are arrayed against us: Israel is criticized for not accepting a Fatah-Hamas unity government, for building in Judea and Samaria, etc. etc. But there is one turn-around that, while modest, is significant. “The government on Thursday delivered a statement to clarify its stand on the controversial question of the legality of settlements after the issued flared up at a [Australian] Senate hearing the night before. "’The description of East Jerusalem (sic) as “occupied” East Jerusalem is a term freighted with pejorative implications which is neither appropriate nor useful,’ [Attorney General George] Brandis told a Senate estimates hearing [speaking for Foreign Minister Julie Bishop]. 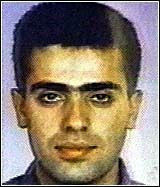 "’It should not and will not be the practice of the Australian government to describe areas of negotiation in such judgmental language.’"
This does not mean that Australian policy now considers Judea and Samaria irrefutably Israeli, but, rather, that it acknowledges that Israel may have a legitimate claim, which must be resolved in negotiations. And it’s a giant step in terms of fairness. In light of this apparent shift in policy, the Australian foreign ministry has taken hits from a host of countries that are “shocked” that anyone could fail to see eastern Jerusalem (there is no such place as “East Jerusalem”) and Judea and Samaria as anything but “occupied.” This goes, by the way, for some members of Australia’s Senate as well. What this shift does is provide a bit of hope. If only some other foreign ministries were to take note. Many, I recognize, are lost causes. But not all. It provides a signal lesson as well: Where there is even a modicum of open-mindedness and willingness to learn on the part of diplomats, attitudes can be changed as facts are presented. It is unlikely that it is a coincidence that in recent weeks there have been meetings between Israelis – presenting the case for Israel’s rights – and representatives of the Australian government. Most significant was a meeting between Minister of Housing Uri Ariel (Habayit Hayehudi) and Australia’s ambassador to Israel, Dave Sharma. This was held in – shock! – eastern Jerusalem, where Minister Ariel has his office. And there was also a meeting held in Tel Aviv between Australian Embassy political attaché Bill Rhee, and Ari Briggs, Director of International Affairs forh Regavim (and originally from Australia himself), Elie Pieprz from the Yesha Council foreign desk, and Jeff Daube, head of ZOA in Israel and my Legal Grounds co-chair. We – all of us! – have to continue to make the case for Israel. 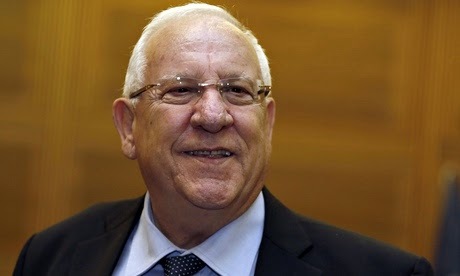 Another ray of light: Ruby (Reuven) Rivlin of Likud has just been elected by the Knesset to be the 10th president of Israel. He won in a run-off vote against Meir Sheetrit of Hatenua, 63-53, after neither candidate, in a crowded field of would-be presidents, secured a majority the first time around. I had scrupulously avoided reporting on the presidential campaign, as it was hardly one to do Israel proud. The accompanying scandals and accusations, and political jockeying were not the sort of issues I choose to write about in the limited space of my postings. ’'...the position [of president] is shaped primarily by the character of its incumbent and his cultural, historical, personal, and human identity. The president’s agenda is determined mainly by the goals he sets for himself. It is with no regret that I bid goodbye to outgoing president Shimon Peres who maddeningly overstepped the bounds of his office time and again by making highly politicized and inappropriate statements that reflected a position far to the left of that of the government. Although I will mention an enormous unease that exists in some quarters that Peres, out of office, will utilize his prestige to undermine the government and do even more damage. Also semi-encouraging is the announcement last week by Housing Minister Uri Ariel (Habayit Hayehudi) that tenders have been published for building 1,500 new units in eastern Jerusalem, with 400 units in Ramat Shlomo, and in Judea and Samaria, with 700 units in the Gush Etzion towns of Efrat and Beitar Ilit, and smaller numbers of apartments in Ariel, Alfei Menashe, and Givat Ze’ev. Needless to say, US Ambassador to Israel wasted no time in condemning this announcement of building. With the items above, I think we’ve covered the major “rays of light” at present. It would be foolish to expect too much at one time. I alluded above to tensions within disparate parts of our nation, and we are seeing this in particular right now with the disputes within the governing coalition as to what should come next, now that the “negotiations” have fallen apart. Some of the statements we’ve been exposed to are patently ridiculous. How far removed from reality can he be? A final agreement with Fatah, which is in a unity arrangement with Hamas? Does he not realize how quickly Hamas would move into areas we withdrew from? Netanyahu, for his part, responded that Lapid is demonstrating lack of experience – that proposing concessions without the promise of a return is foolish. He’s correct of course. Not that our prime minister, for his part, has seriously grappled with the current situation or avoided statements that are troubling. Economy Minister Naftali Bennett (Habayit Hayehudi) is probably only a bit more realistic than Lapid at this point in suggesting that annexation of Area C begin. I go on record here, as I have in the past, as totally supporting Israeli sovereignty over Judea and Samaria. But I recognize that – unfortunately - neither the nation nor the government is ready to stand behind this move. Not yet. Which is why I co-chair the Legal Grounds Campaign: to promote the concept of Israel’s legal rights, and to continue to promote it until there has been a shift in the paradigm of thinking. To make the case for the Gush as intrinsically part of Israel is not difficult. The prediction here at the moment is for continuing tensions amongst various factions of the coalition. And what of the unity government? This was entirely predictable. It is what I’ve observed over the years: in shared ventures, Hamas always gains the upper hand over Fatah and further radicalizes Fatah. The prime minister also noted that Hamas is reiterating its intention to destroy Israel. This is clearly the case, with Hamas retaining its “resistance” policy and its separate “resistance” forces in Gaza. He then called upon the international community to “apply pressure” on Abbas to break with Hamas. And here is where he also departed from reality. For the international community has already done their “hear no evil, see no evil” routine and agreed to support that unity government. At this point, his calls constitute no more than “blowing in the wind.” They will change nothing. Netanyahu condemned support for the unity government at the beginning. Would that he had simply said now that it is greatly regrettable that the international community will not apply pressure upon Abbas, that failing to do so is a moral as well as diplomatic error, and that the community cannot expect Israel to adopt similar policies in this matter. Period. 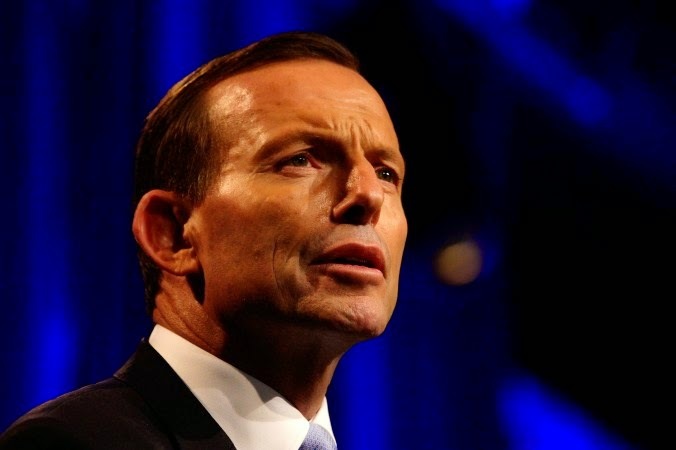 Technorati Tag: Israel and Tony Abbot and Reuven +Rivlin. In 1966, Iraqi defense minister Abd al-Aziz al-Uqayli blamed the Kurds of Iraq for seeking to establish "a second Israel" in the Middle East. He also claimed that "the West and the East are supporting the rebels to create [khalq] a new Israeli state in the north of the homeland as they had done in 1948 when they created Israel. It is as if history is repeating itself." An Arab commentator had warned earlier that if such a thing should happen, "the Arabs will face within two decades their second nakba [catastrophe] after Palestine. "These contentions speak volumes regarding Iraq's threat perceptions of the Kurds more than four decades after the establishment of the Iraqi state. They also conceptualize Israel as the ultimate evil in the region. 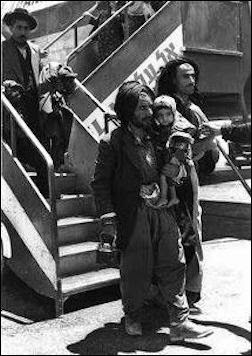 Such accusations are echoed today by some Arab media, which claim that Kurdistan is following in the footsteps of "Yahudistan" ("Land of the Jews"). Seen from the Kurdish and Israeli perspectives, these linkages and parallels are intended to demonize and delegitimize both while also implying illegitimate relations between them. The intriguing questions are therefore what kind of relations exist between Israel and the Kurds? 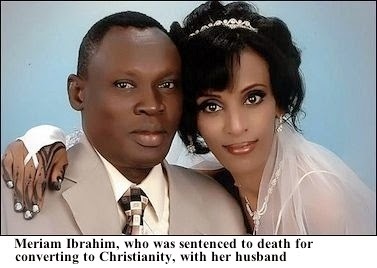 Will The Media Forget About Meriam Ibrahim in Sudan? In an interview with The Times newspaper, British Prime Minister David Camerondescribed the ruling as "barbaric" and out of step with today's world (emphasis added). It is about time that pundits stop describing President Obama’s foreign policy as weak. There is a straight line between emboldening Syria’s Assad by calling him a reformer, Egypt’s Morsi a democrat, Turkey’s Erdogan a friend, Iran’s Rouhani a moderate, and now a Palestinian government that includes Hamas, a peace partner. 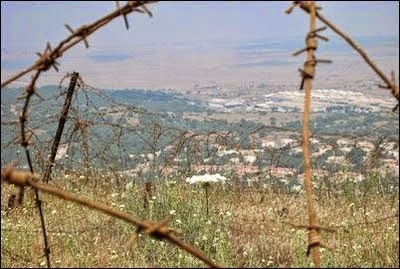 What is Israel Doing to Respond To The Al Qaeda Threat From Syria? The Israel Project hosted a conference call discussing the new Palestinian unity government between the Palestinian Authority and the Hamas terrorist group. The speaker was Dr. Kobi Michael, senior lecturer in political science at Ariel University and the INSS, and former Deputy Director General at Israel’s Ministry of Strategic Affairs. Protest art painting featuring Arab students claimed the destruction of the Al - Aqsa exciting the Tel Aviv University. MK Taleb Abu Arar Ra'am - Taal academic institution requires the president to be removed immediately.